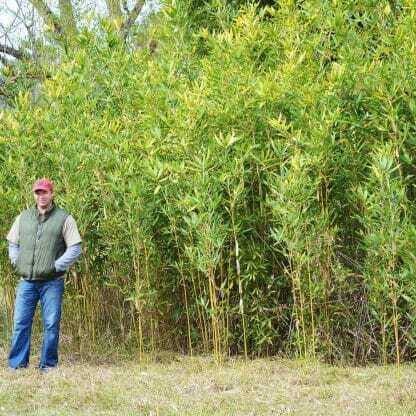 A great low screening bamboo that is effective in erosion control. Semiarundinaria Okuboi bamboo is a great for a low privacy screen since it seems to spread quickly and to stay in the 8 to 14 foot height range. Some climate zones report it reaching 25 feet in height, but I have not seen these sizes. It makes a thick grove with full foliage reaching down the canes to a couple feet off the ground. 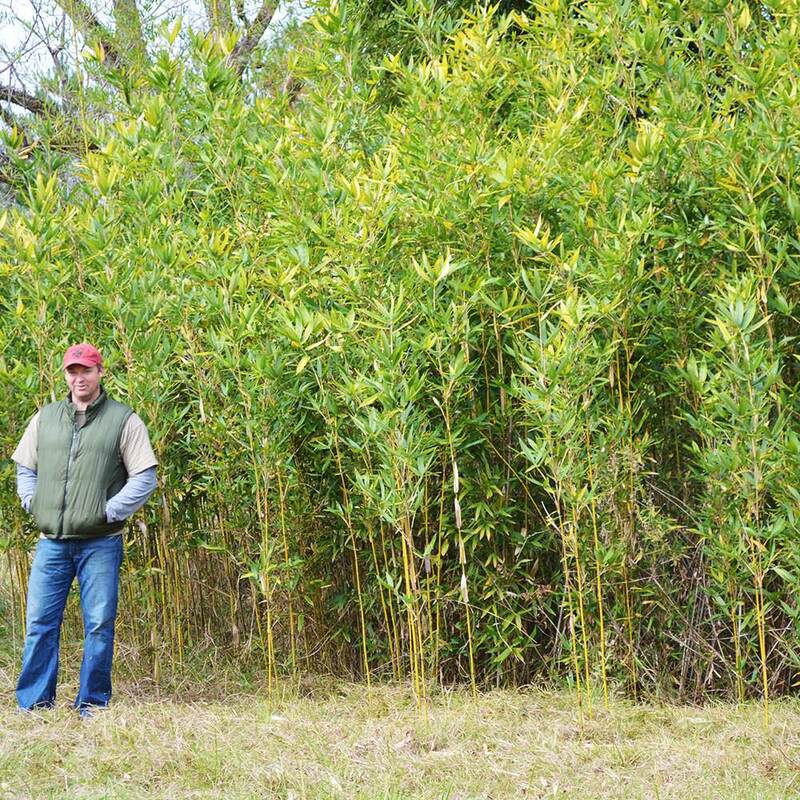 Large leaves are one of the very attractive characteristics of this beautiful erect species with quasi persistent culm sheaths Semiarundinaria Okuboi bamboo is Very effective in erosion control. Shipping was fast and plants were in great shape. 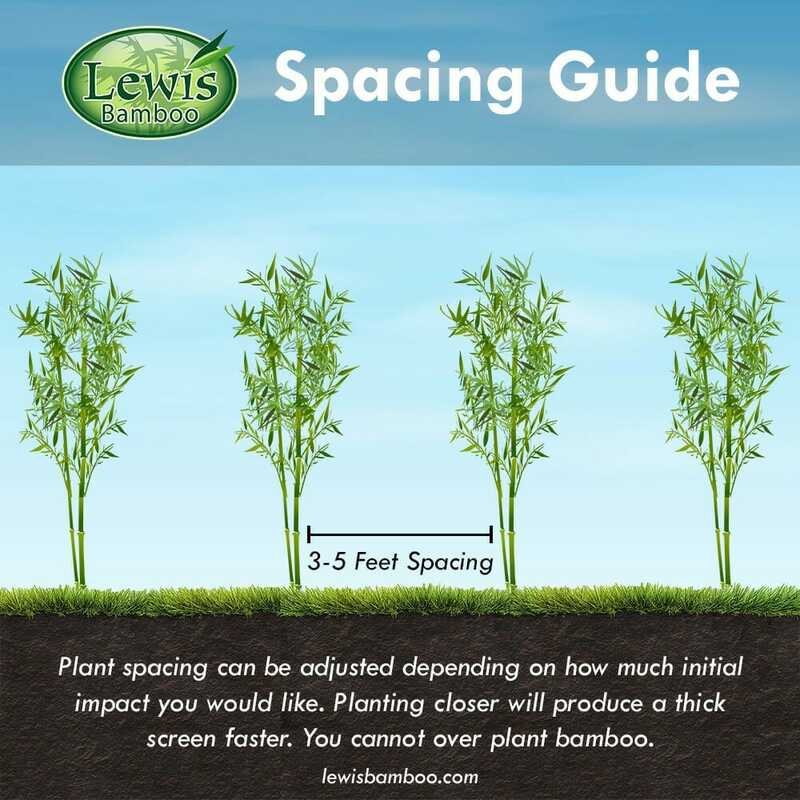 Customer service was very helpful in selecting the right bamboo for my area. Thanks Lewis Bamboo! 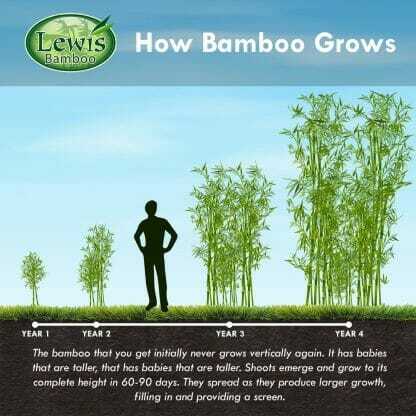 Bamboo is an evergreen plant. If the appropriate species is selected for your climate, it will retain foliage all year long. It is a running bamboo. Here is a link to our clumping bamboos. Okuboi can be grown in containers in climate zone 6b and warmer. The larger the container, the better the results and overall plant health.